In M. Tech. programmes, admission shall be made first based on the qualified GATE qualifying marks in the subject (Major) in which admission is sought. Vacant seats shall be filled based on OGPA / percentage (%) of marks of B. Tech. The candidate should have secured at least an OGPA of not less than 6.000/10.000 or 3.000/5.000 or 55% marks in aggregate in case of the Institutions/ Universities where these scales are not applicable in the Bachelor’s degree. However, admission towards seats for Other State candidates in M. Tech. 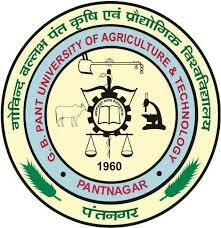 Agricultural engineering majors shall be made through Entrance Examination conducted by ICAR. In case, domicile candidates of Uttarakhand are not available for the sanctioned seats, the same shall be filled from amongst candidates of Other States. Admissions to MCA programme shall be made on the basis of separate Entrance Examination to be conducted by the University. In case a candidate wants to appear for other Masters’ programmes in addition to MCA, he / she have to fill separate application form. Candidates other than Bonafide residents of Uttarakhand are not eligible to seek admission directly to the Undergraduate and Masters’ degree programmes in the University. They will have to submit a separate application as and when called by ICAR/VCI, New Delhi and take All India Competitive Examinations and attend counselling at New Delhi for seat allotment. August Kranti Bhawan, Bhikaji Cama Place, New Delhi-110 066.